With seventeen sampling holes and several test holes, you might imagine that Curiosity is creating a rather long and erratic golf course in Gale crater. After all, Alan Shepard shot a golf ball on the Moon. The first two martian sampling holes, at Yellowknife Bay, are several kilometers away from the third hole, at Kimberley, which is several kilometers from all the subsequent ones in the Murray formation. The distances between the first several holes might be too long for golf links on Earth, but maybe with reduced gravity and very little wind resistance, a mighty drive of over a kilometer might be possible. Unfortunately, the size of the holes drilled by Curiosity, at ~16 mm diameter, are too small for golf balls, which are > 41 mm diameter, so golf enthusiasts will have to wait a little longer to play on Mars. Curiosity continues to analyze the samples from the Stoer drill hole. The rover and arm are stationary until we receive a green light from SAM and CheMin analyses. The main activity today is more analysis time for CheMin, which will run in the background. In the meantime, ChemCam gets to shoot at "Ainshval," "Tarskavaig," and "Loch Aline," which are interesting vein and concretion features on the rock surface in the vicinity of the drill hole. Some of the recently-imaged vein material is shown in the accompanying RMI image. 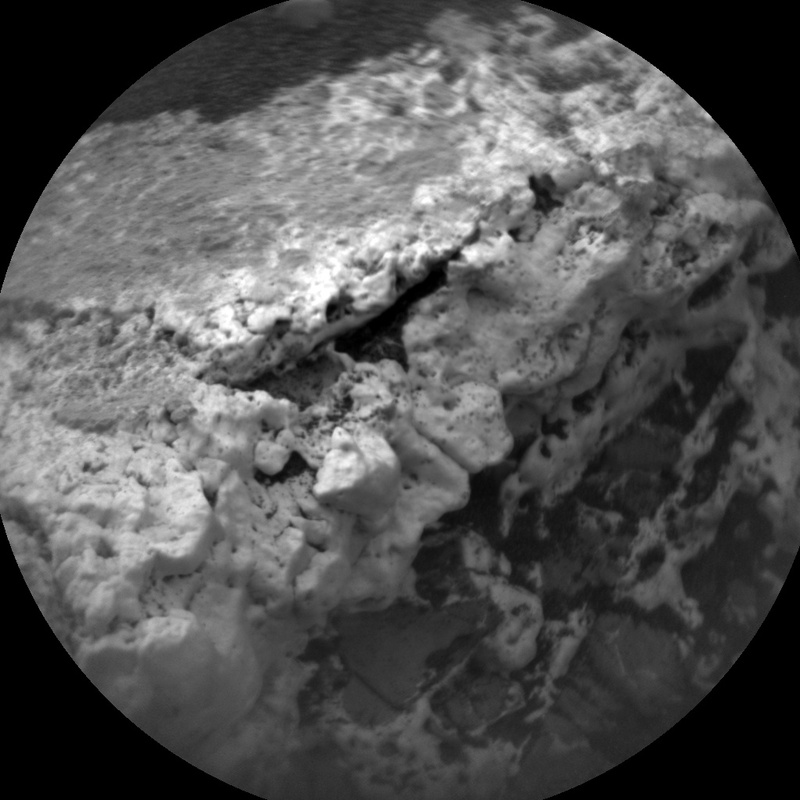 Mastcam will image the new targets and will also take another picture of the drill tailings. There are MARDI change-detection images just after sunset and just before sunrise tomorrow, DAN active and passive observations, a dust-devil survey by Navcam, and REMS and RAD data collects.